Take a trip to China and learn everything about their fascinating culture with Dragon Lines video slot. 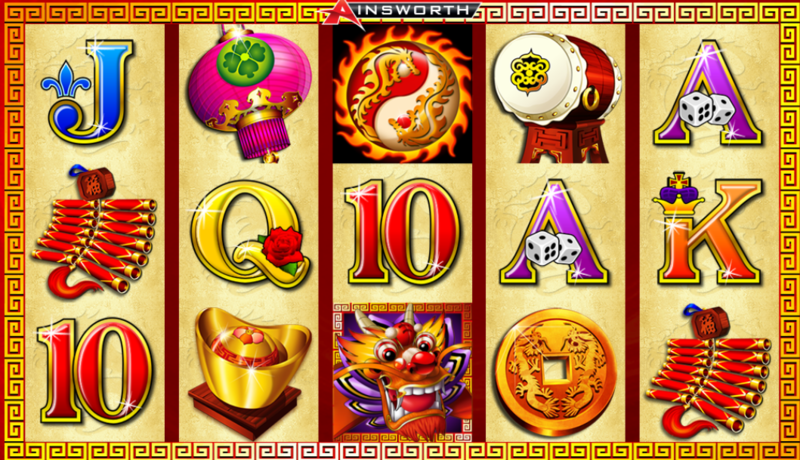 There is no doubt that Oriental themed video slots are very popular in the market today and with Ainsworth's version, you expect something unique. Just to remind you, Dragon Lines was the first online game to appear in the developer's game lobby back in 2013 after being in the land-based industry for a long time. This slot is played with five reels on three rows and 100 fixed ways of winning. The game comes with different symbols and special features such as free spins to boost your ways of winning. In addition, there betting range is between $0.01 up to a maximum of $75 per spin and a theoretical return to player (RTP) of 94.3%. Dragon Lines slot is fully optimized and can be played across different gaming platforms including mobiles, tablets, and desktops. Read our review to learn everything you need to know about this thrilling slot from Ainsworth developers. Asian culture has been very influential over the recent past, and this is evident in Dragon Lines video slots. The slot features an Asian theme and with exceptional ways of winning. Even though the backdrop is plain, you will be entertained by the immersive soundtrack. The sound effects will bring back old memories of brick and mortar casinos. This slot is available in instant play, meaning you can play it directly from your browser. The graphics and visual animations are optimized with HTML5 technology which enables them to the of high quality on different gaming screens. The developer has used beautiful images to represent different symbols in the game. As aforementioned, Dragon Lines has simple and straightforward gameplay. You will find 5 reels, 3 rows and 100 fixed win lines that pay from left to right. Match a minimum of three symbols anywhere on the pay lines to win. You need to keep an eye on the Yin Yang symbols as it offers the best payouts. The minimum betting amount allowed in the game is $0.01 per spin, and you can win a maximum of $18450.00 coins into your account. Before you start to play, you will be needed to set your bet using different options on the screen found at the bottom of the screen. Click on the 'Lines' to increase or decrease the number of lines to play. The +/- signs on top of 'BET' will enable you to set the preferred amount you wish to wager. The 'SPIN' button on the bottom right corner will allow you to set the reels in motion. This button will become 'STOP' once the reels start to spin and you can use it to end the round. There is also an 'AUTOPlay' option which enables you to play between 10 and 100 spins without interference. Dragon Lines video slot is packed with different traditional symbols from the Asian culture which gives it an excellent gameplay. The symbols are classified into low value and high value and come with different payouts. The coin, lantern flutes represent the high paying symbols, and the dumplings, matching 5 of these symbols will grant a maximum of 10 coins when playing with the maximum 100 win lines. The low paying symbols are represented by the standard playing card symbols A, K, Q, J, 10 and 9. This symbol will pay you one coin for matching 3 of the symbols. The wild symbols of the game are the dragon, and it can replace all other symbols except the scatter symbols. You will find it easy to land winning combinations with this symbol. The Yin Yan is the Scatter, and it will only showcase on reels 3, 4, or 5. Land three or more of the Yin Yang symbols on the reels and you will be rewarded with ten free spins. There are additional incredible prizes to be won in the base game despite the lack of the bonus symbol in the slot. Ainsworth is reputable for releasing high-quality mobile optimized slot games. The developers employ the latest cutting edge technology such as HTML5 which helps them to create instant play games with exclusive graphics and soundtracks. Dragon Lines is one of their titles that can be played on tablets and smartphones while retaining seamless gameplay on the go. Ainsworth software developers have been in gambling since 1995. The company started as a developer of land-based slot machine games and shifted to the ever-growing online market in 2013. They started in Australia but are now widespread across the world. Ainsworth has partnered with giant casino software companies like Playtech and Microgaming where they enjoy a vast network distribution. The developer is licensed and regulated by the UK Gambling Commission and Alderney. Some of the popular titles from this developer include Sheer Magic and Winning Wolf. You will enjoy playing all their slot games on Android and iOS powered devices. 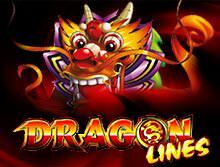 Dragon Lines is an exciting slot game to play both for fun or real money. There is no better place to enjoy the brick and mortar feeling brought by this game than at bCasino. We are licensed and regulated by the UK Gambling Commission, and all our games are tested to ensure that the results are fair and random. We pride in listing a wide range of online games from the leading software developers in the market such as NetEnt, Playtech, Betsoft, Play n Go, Yggdrasil, Ainsworth, and many others. We guarantee all our new player's generous bonuses and promotional offers to help them build their bankrolls. You will be served by highly trained and experienced support agents 24/7 via email, live chat, and telephone.